A Luxury holiday apartment in Curzon place gets a complete update. The clients chose a neutral colour scheme with turquoise accents. 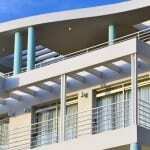 Their brief was to maximize views and enhance flow between the living areas, balcony and deck space. 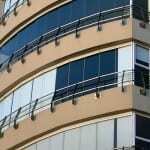 We replaced the original rusted windows with new natural anodized, high spec FORMAN Brand aluminium windows. The sliding and top hung windows are configured to optimize views and designed to maximize cross ventilation. 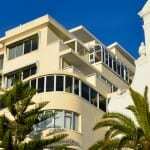 The apartment is situated in a grand old block on the corner of Milton & Beach Roads, in Sea Point. The words interesting, achingly cool and unexpectedly chic come to mind when considering this comfortable abode. The three bedroomed pied-a-terre is designed to maximize both entertaining and privacy by keeping the bedrooms in the rear of the apartment. 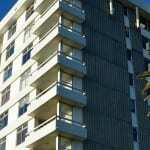 This old world apartment block in Vredehoek, Cape Town was in a bad state of repair. 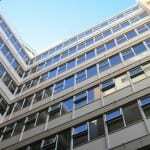 Larry was called in to assist with a complete refurbishment and renovation of the entire block using all Metal Windows Forman Brand aluminium products – #slidingdoors, #windows #entrancedoors and panels. 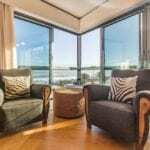 Old wooden windows, rotted with time, were refurbished and replaced with Metal Windows high performance aluminium products for increased ease of use and to maximise sea views. 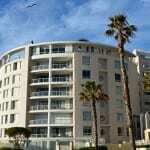 Metal Windows enclosed the walkways on all the floors of Fortuna Apartments in Mouille Point. We removed the rusting asbestos and steel eyesore and replaced it with nutech cement board and new glass & aluminium panel walk way enclosures while ensuring the safety of the residents while the construction was in progress. 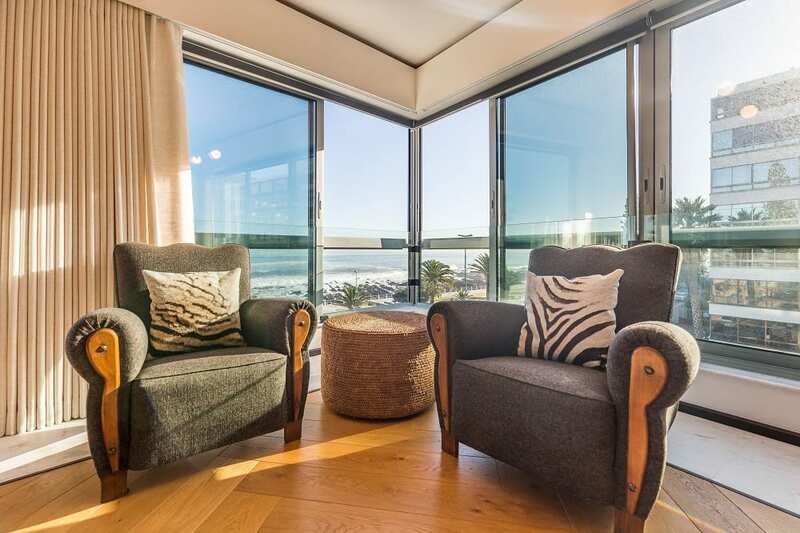 New aluminium windows by Metal Windows were custom designed to optimise the Milnerton Lagoon and Table Mountain backdrop views, incorporating our trademark BarsDamp® waterproofing system to cure severe water ingress and damp-proofing problems on the building facades. 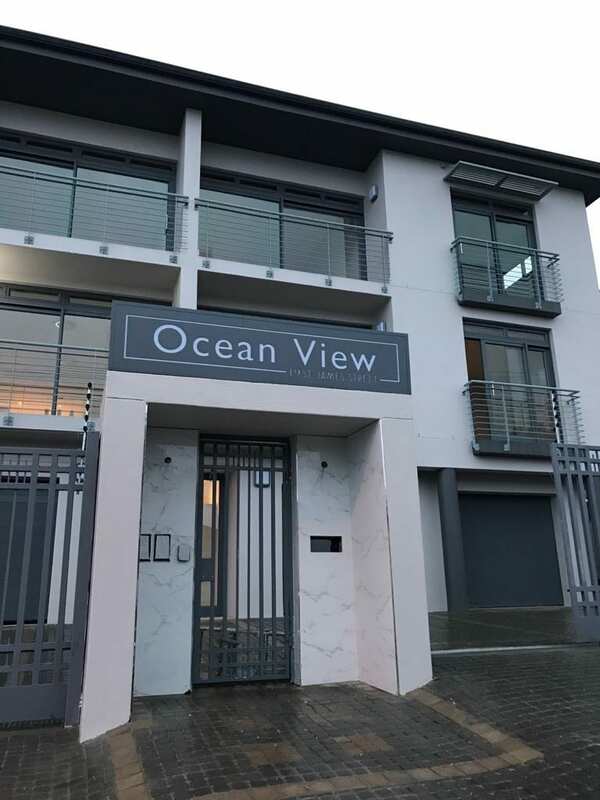 We were commissioned for the complete replacement of the rotten wood windows and doors of these luxury apartments with new high performance aluminium windows and doors, which include our unique BarsDamp® waterproofing system which keeps the prevailing coastal air and winter rains at bay. 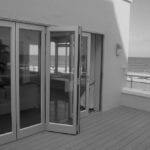 We replaced glass and aluminium windows and doors in this high corrosive beachfront area. The original windows installed in this development were of a low quality. 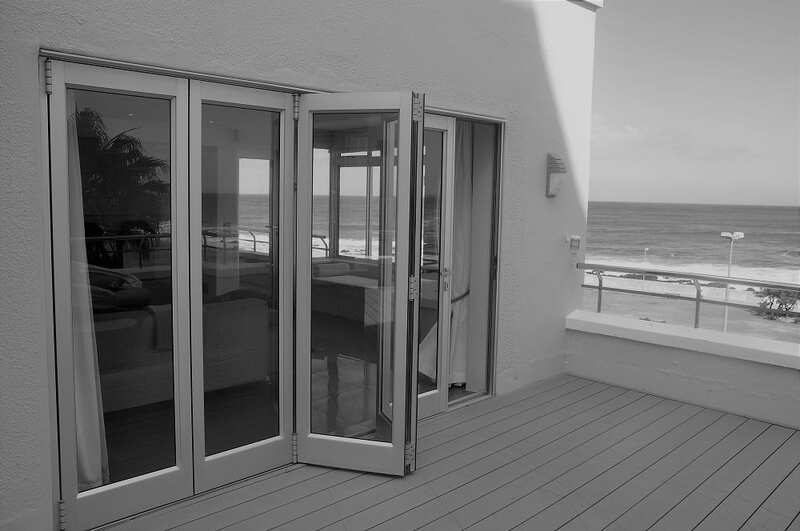 We designed and manufactured the windows and doors for the renovation of this apartment in a prime location on the Sea Point beachfront with stacking folding doors and custom-made frameless glass windows to opmtimise the views. 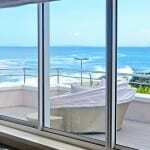 Metal Windows supplied and fitted the high tech stylish aluminium and glass window and door products on this new Camps Bay beachfront development.